[Transcript] – East Room -3:43 P.M. EDT – THE PRESIDENT: Thank you very much. Please be seated. I am truly delighted to welcome so many impressive young Americans to the White House. This is a very exciting day. What we’re doing is very important. And we’re here to take historic action to defend American students and American values. They’ve been under siege. In a few moments, I will be signing an executive order to protect free speech on college campuses. Just the thought of it sounds good. We’re grateful — (applause). It’s true. Most importantly, let me thank all of the college students and recent graduates here with me on stage. Incredible young people. These courageous Americans have stood up [DEL: for :DEL] [to] the forces of political indoctrinations — and they really stood up to it, too, like very few people have been able to; censorship; and coercion. In America, the very heart of the university’s mission is preparing students for life as citizens in a free society. But even as universities have received billions and billions of dollars from taxpayers, many have become increasingly hostile to free speech and to the First Amendment. You see it all the time. You turn on the news and you see things that are horrible. You see people being punched hard in the face. But he didn’t go down. He didn’t go down. (Applause.) I said, “You have a better chin than Muhammad Ali, and he had a great chin.” (Laughter.) And you see the cowbell scene. You saw that horrible scene. That was a disgraceful thing at a school, at a university. Under the guise of “speech codes” and “safe spaces” and “trigger warnings,” these universities have tried to restrict free thought, impose total conformity, and shut down the voices of great young Americans like those here today. These are great people. Today’s groundbreaking action is the first in a series of steps we will take to defend students’ rights. We are proudly joined by several young Americans who can speak directly about ideological intolerance on campus. Here with us is Ellen Wittman, a junior at Miami University in Ohio. A great school. Ellen is the President of Students for Life. In 2017, Ellen planned an annual event to display small wooden crosses representing the lives of the unborn. School officials informed Ellen that she would be required to post signs all over campus providing a “trigger warning” to other students regarding her display. Ellen, please come up. Say a few words. Tell us your story, please. (Applause.) Thank you. MS. WITTMAN: Well, thank you, Mr. President. This is a truly historic day in our country’s history. And I am so grateful that we have a President who recognizes that the First Amendment is under attack on our college campuses. My story is so important because I have seen lives saved through my Students for Life efforts on campus. But I never imagined the hostility I would face when trying to express my beliefs. It’s ridiculous that it has gotten to this point. THE PRESIDENT: You watch, we will be witnessing today some great future political leaders. There’s plenty of them in the room. Not just up here, right? Out there too. We really appreciate it. That was beautiful. Thank you very much. We’re also joined by Kaitlyn Mullen, a student at the University of Nebraska in Lincoln. While simply standing at a table to represent a conservative group on campus, Turning Point USA — which does such incredible work. And thank you very much, Charlie. It’s true. Come on. We can give him a hand. (Applause.) Thank you. MS. MULLEN: Thank you, Mr. President. What happened to me is common on universities today and students are getting shut down and silenced on campus. So I’m really thankful that President Trump is addressing this issue because, as the future of America, it’s important that our universities are a place where we could speak freely and have healthy, respectful dialogue on campus. THE PRESIDENT: Thank you very much. Thank you, Kaitlyn. Beautiful. And I have to say that, you know, we have — in my opinion, we have more than they have. People don’t realize that. You see what’s going on. I just came back from Ohio. The streets were lined with people. I came back recently from Alabama, where they had that horrible tornado. It was terrible. But the people were lined as far as the eye could see — lined up with people. And we’re here. This is the White House. I’m the President. And we’re together. And hopefully, we can bring everybody together. That’s really what we want to do. And they can have different views. And if they do have different views, we encourage that. But they have to let you speak. They have to let you speak. MS. OLSON: So freedom of speech is near and dear to my heart. My mother told me while she was homeschooling me that I would need to know what my First Amendment rights were because someday they would be violated and I would have to stand up for them. So I’m carrying on her legacy of handing out these little valentines encouraging people to know that they are loved and cared for. And within 15 minutes of setting foot on my campus this past year, I was told that I was soliciting and disrupting the learning environment and that it would not be tolerated and that I would have to stop handing out my valentines. And I contacted some friends of mine and they sent me to WILL to have legal counsel because this wasn’t the first time the school had done it to me. They had stopped me a year — well, a few months after my mom died — and told me that I was not allowed to do it then. So I went through months of trying to get them to change this policy that they were enforcing, and they told me that they would do it. Well, that was five years ago. So now it was time to take action and make them follow through with what they were telling me that they were going to do — trying to shut me up. I’m just one of many students that are out there that universities and schools are trying to shut down, sweep it under the rug, and make them be quiet. And I told them I’m not going to be quiet this time. I’m going to talk to anyone and everyone I can about our freedom of speech in this country because it’s really the core of America’s freedom. And without freedom of speech, we don’t have America anymore. And so I challenge America to learn to love one another as Christ did on the cross for each one of us. And that — speak your differences. It’s okay. We are in a country of freedom. And, really, that’s what’s important — is to embrace the diversity that we have here because that’s made America great in the first place. THE PRESIDENT: So thank you all for your courage. Today, we are delivering a clear message to the professors and power structures trying to suppress dissent and keep young Americans — and all Americans, not just young Americans like Ellen and Kaitlyn and Polly — from challenging rigid, far-left ideology. People who are confident in their beliefs do not censor others — we don’t want to censor others — they welcome free, fair and open debate. And that’s what we’re demanding. At the same time, private universities should be held to their own policies on free speech. So, from now on, federal agencies will also use their grant-making authority to promote transparency for students at private schools. These colleges should not be able to promise free speech in theory, and then impose restrictive speech codes in practice, which is what many of them do. Today’s action is just the beginning of our efforts to protect free speech and advance our students’ rights agenda. What I’ve been witnessing over the last long period of time, long before I became President — what I’ve been witnessing is outrageous. This order will also empower students with vital information about the value of the programs they take on and — having to do with debt. Student loan debt. I’m going to work to fix it because it’s outrageous what’s happening. You’re not given that fair start. You’re too far down. It’s not right. And we’re going to work very, very hard to get it fixed. But we’re going to start with 43 million people in the United States who are currently working to pay off student loans. And we’ll be talking about that very soon. We’re going to work on that very soon. I’ve always been very good with loans and — (laughter) — I love loans. (Laughter.) I love other people’s money. (Laughter and applause.) And we’re going to work on it. (Applause.) I made a lot of money with those loans, and you’re going to, too. You’re going to do something that’s going to be fair and good. But we’re going to work with you very closely. The average student loan borrower owes roughly $35,000 dollars — that’s a lot — and, in many cases, much more than that. I’ve seen numbers that go over $200,000. You’re behind the eight ball before you start. And yet, typically, students who take loans do not have access to critical information about what career outcomes they can expect from their programs, majors, or fields of study. They borrow more money than they can ever expect to pay off or pay back. Many middle-class American families are getting ripped off, while tax-exempt colleges and large institutions, frankly — they take these tremendous endowments. You look at the money that they have. They’re making a fortune. Today’s order also directs the Department of Education to propose a plan that will require colleges and universities to have skin in the game by sharing a portion of the financial risk of the student loan debt. I believe — (applause). I believe that colleges and universities, their costs have gone up more than anything I can think of. I’ve watched this. And you watch companies, and they’ll keep it the same for years and years. And you watch these colleges and universities and certain institutions, where it just goes right through the roof. And the reason — there’s no incentive to them to watch costs. You see people at the heads of the institutions being paid a fortune. They don’t care because the government loans the student the money, they pay the money to the college, and then the student graduates from college — maybe a very good college, but they graduate — or university — and they’re stuck with $200,000 in loans that they won’t be able to pay off for a long time. So we’re going to make them have an incentive to keep their costs down. Right now, they have no incentive whatsoever. I watched this over a period of time, I figured it out very, very quickly. I’m good at that stuff, believe me. (Laughter.) And I just see their numbers go up so rapidly because they just don’t have the burden on them. And we’re going to put burden on the institutions. We want them to get the best peop- — teachers and the professors and the administrators and the heads, but the numbers are out of reality. And certainly, they make it out of reality for students when you have to pay back those loans someday. With today’s action and every action to come, the Trump administration will fight for America’s students. We’re fighting very hard. And remember what I said: We’re going to give the student loans — where you have way, way over a trillion dollars in student loans — we’re going to start looking at that very seriously and help some of those students that are just mired in debt. We know that freedom must prevail on college campuses if freedom is to prosper in America. It’s so important. And we believe that greatness must be practiced in our halls of learning if greatness is to thrive in our halls of government and our corridors of commerce. You’re going to have great lives. But I want you to get off to a great start, not a start where you’re behind a barricade that just doesn’t let you succeed. And we’re going to make it much easier for you — this administration — and we’ve worked very hard on it already. We’ll be having some meetings. And we’ll be having some very major discussions with some of the biggest colleges and universities. And we’re going to have them shoulder some of the responsibility and some of the money that’s necessary for you to use in order to get your education. To every student and young American here today: Don’t let anyone stop you from doing what you know is right, from asking questions, from challenging the powerful, or from speaking your mind. And that’s the primary reason we’re here right now. You’re going to speak your mind. You’re going to be fair. You’re going to reasonable. You’re going to do it well. And you’re going to speak your mind. Never ever quit, never give in, and never back down. Keep standing up for your values, for your classmates, and for your country. And you can be certain that, every day of my presidency, we will always support your rights, and your freedoms, and your future. And I want to congratulate everybody — everybody — for being here. You have just a tremendous future ahead of you and this will make it a lot easier. And you get that point of view across. And listen to the other point of view. Maybe you can changed and maybe not. I doubt it. (Laughter.) But maybe. You never know. And you what? If you can, that’s okay. And you’ll change them, too. You’re going to change them, too. But, ultimately, it brings people together. This entry was posted in 1st Amendment, Cultural Marxism, Donald Trump, Education, First Amendment, media bias, President Trump, Press Secretary - Trump, Uncategorized. Bookmark the permalink. Not only for conservative college students—also for WE,THE PEOPLE. My Alma mater, UC Berkeley, has been emailing me DAILY over the last month BEGGING me for donations $$$. I decided to kick them in the nuts and say N.O. … not until they reschedule Milo’s appearance, and guarantee he speaks without interruption or violence. The kid on the other end called me a homophobe, and hung up. My 3x alma mater university finally gave up on annually sending major gifts people to solicit a large donation. After years of repeating myself, they finally got it that until they remove Naomi Oreskes frm the faculty and get off the climate change bandwagon, they get zero. how can you be a homophobe if you’re asking for a gay man’s speech? To the left, Milo isn’t a true gay. It’s like conservative blacks aren’t true blacks. The left has their own definition of everything. And they all make no sense, which should be expected since the left has no logic anyway. Milo is gay, so the homophobe excuse makes no sense. The kid is a perfectly programmed leftist socialist – wants your money, calls you names, then wants you to STFU. That makes no sense, Kenji! That is backwards – if you insisted on fairness – how does that equate to hatred of a group? Kenji – unbelievable! You should have called the alumni association donations director personally (if you could find them) and told them what their little “volunteer” did. I cancelled my alumni membership from my university after they had communist Danny Glover as their commencement speaker one year. I called to protest, asked them to rescind the invitation and when they said “no”, I told them never to contact me again. Now that’s funny! How can you be a “homophobe” and support Milo? The kid on the other end of your conversation is obviously brain dead. Too rich! I love the idea of forcing the colleges to have skin in the game. I look forward to seeing how the translates into action. As a candidate, I remember Trump hinting that the tax-exempt status of university endowments might need to be re-visited. He’s still got some leverage if they don’t smarten up. This is going to be interesting to see what college or university is the first one to get their funds held back. You know the LEFTARDS will be out in full force now attacking everyone slightly to the right. This is going to be fun. This would be a BRILLIANT move! THIS!! And then privatize all colleges and universities. Zero tax dollars. I’m surprised the 9th Circuit hasn’t issued an injunction yet. Final draft of injunction is in editing to ensure maximum virtue signaling and PC. Pass the bong please. The college cabal now has a watchdog. Almost as good as an ‘afternoon delight’? LOL! As President Trump was leaving the room, the announcer came on the loudspeaker and said, “Ladies and gentlemen, please remain seated as the President leaves the room”. They were all standing as they should have been. College loan debt….LOL, President TRUMP is taking away one of the commieDems platform issues, LMAO! He sure did. Also addressed cost. I actually said he was going to do this sooner or later not long after he got into office and got raked over the coals for it in the comments. Trump’s not stupid. This isn’t pandering for votes this is helping to end financial slavery to the State in this country. It was D-rat’s M$M colluders who took up the refrain to accuse President Trump of ignoring our Student Debt Bubble! WoW! so many dedicated Americans who will fight for freedom!! We are blessed as a nation…God bless the USA!!!
. @POTUS flanked by brave students who have withstood attempts to silence their right of free speech, ideological intimidation, hostility (and worse) on their campuses. Great photo! Lots of young talent! Such a striking difference between conservatives on campus and liberals! LOL! Were you around in the late 60’s and early 70’s? The contrasts between conservative and liberals on campus were way more extreme. But the trend continues even today. Most of the liberals still look goofy to me. I was around then. The conservatives far outnumbered the Leftwing radicals & hippies on the east coast. I can’t speak to whatever was happening on the Left coast, but I had the impression there was more of the Leftwing garbage on state university campuses than private schools. It is a great and HUGE change to see President Trump stand up to the 1st Amendment bullies in a way that Obama was either too weak or too much of an ideaologue to do. Trump is a strong and commited American leader. Obama is like Jimma Carter 2.0, if Jimma took Estrogen Steroid suppliments. Anti-1st Amendment bullies ‘. My bad. Obama is a first amendment bully. Remember the Little Sisters of the Poor? That’s right Deb. Obama is against the 1st Amendment. Well, actually, he’s against the entire Constitution. He’s a communist who was installed as a puppet to function for the globalists. That’s what the Democrats are (and the GOPe, too). They are not free thinking nor do they want to allow anyone else to be either. Please consider adopting the following approach to multiply competition among workforce preparers, channel enrollment where outcomes are best, and inspire participants to prepare for roles and careers that make most sense for them! BENCHMARK Workforce Prep Performance to (1) improve school selection and (2) motivate commitments to prepare workers to contribute economically. Compare Apprenticeship/School Performance for “Average Alumni Compensation” for each Class-Year at 5-year future intervals during their initial 10-20 working years (when preparation makes the most difference). Compare Apprenticeship/School Performance over time. SPOTLIGHT Workforce Opportunities to (1) inform students for curriculum choice and (2) motivate student commitments to excellence. Compare Graduate Performance in each Workforce Role, across past Alumni-Class Year Groups. • Share of Alumni entering each Workforce Role. • Average Alumni Compensation, at 5-year intervals after entering each Workforce Role. Create an annual “Workforce Opportunities Scorecard” for each Participant that SPOTLIGHTS Future Prospects, informs Curriculum Choice and motivates Participant Achievement. This was an absolutely beautiful event. God bless this man, those young people and America. In tears, and full of gratitude. John, these young people are so composed and impressive. They are able to speak in complete sentences and articulate their position on issues without so much as an F-bomb, a “like” or a “you know” amongst them. Courage is contagious and hopefully, theirs will spread to other young people as well. On most campuses today, to the faculty, freer speech is like a cross to a Vampire. Imagine being a liberal brainwashed public school K thru 12 graduate and going off to college to hear a conservative speaker destroy everything you’ve learned all those years. The big irony is it used to be the total opposite when I was college age. Giving our conservative kids the tools they need to fight back! Colleges, fake msm, social media and Hollywood are four branches of democrats. Movies are not making lot of money and no one cares what these Hollywood stars and fake msm think/say anymore.The social media and colleges are need to fix. Require the Federal Government to subsidize destruction of Freedom of Speech. Just in time for the 2020 Election. Replace Betsy Devos with a conservative. Completely destroy common core and return to factual education. I was at Stanford 1961 to 1965, when Mario Savio started the FSM — FREE (sic) SPEECH MOVEMENT — at Berzerkeley, our big rival just across the Bay. Mario wanted to commandeer a bullhorn and say cuss words. Nowadays, with all the violence, it would be a ho hum demand!!!!. Stan, he truly is. I am so impressed by him, each and every day. God Bless POTUS! This is so important…I can’t think of any other POTUS, or for that matter, any other politician today, who would do this. Bravo…and I am happy to hear he is going to do something about this student loan scam. Free Speech is to most Professors (who have the blood of Nazis coursing through their veins) as sunlight is to a Vampire. 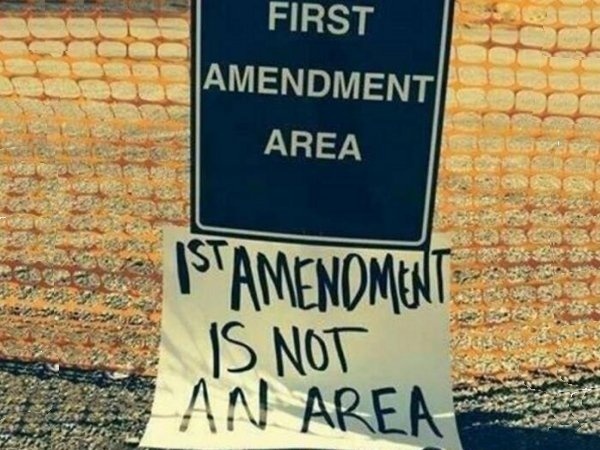 Do you remember the Free Speech Zones BLM put up in their Bundy Ranch tyranny? Remember the Free Speech Movement at Berkley? Can you believe we now have just the opposite happening; how far we have fallen. God Bless President Trump. His election is almost divine (as in Act of God saving us from ourselves). 🙏🙏🙏 is what millions of us were doing during the 2016 election. I’m sure that most here remember the exact moment, on the tv screen, when the blue tracking line started to move downward exactly as the red tracking line surged upward. We saw the miracle occurring right before our very eyes. I do believe it was Divine Intervention. Almighty God can, and does, use each of us for His own good Will, no matter who we are, if we let Him. We just need to be willing to follow His lead. In 2015, most of us, most of the country, and most of the world, had no idea who the real Donald Trump was, who the Patriot DJT is, or what the PDJT vision would be for our Nation, and it’s place in the world. Candidate Trump burst onto the national stage and into our lives like nothing any of us have ever seen before, “for such a time as this”. Happy Purim to all! Queen Esther stood up! President Donald J. Trump stands up for all of us. Political Correctness, aka Hive mentality, is indeed the greatest force for stupidity and mental enslavement on the planet. Dangerous time folks. God Bless President Trump. Just shows you how the Communists have taken over our educational system. Frightening. what to do about Pre K – 12 ??? Someone mentioned next up is freedom of speech on digital networks. Know who owns youtube, instagram, google, these are all owned by similar factions as are network news. Last bastion of freedom is the network and our own money, and we must absolutely oppose any foreign control or ownership of the internet and conversion to Digital currency like bitcoin that BN is bragging and promoting. 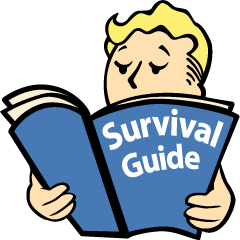 If you have control over the technology, then “security” is easy since you possess the back door technology in the first place. It’s more than a bit unnerving to see him brag about having the best plane cybersecurity technology pre-Egyptian Airlines. Ralph Nader’s granddaughter and 11 UN personnel were on the plane too. The most interesting parts start at around 10 mins but the whole video has good nuggets of info. He says an NSA larger than US was his dream too while he studied at MIT. President Trump is far and away the best president of my lifetime, and that includes the magnificent Ronald Reagan. Way to go Mr. President! • RE (a): EXCLUDE ALL Institutions that fail to protect First Amendment Rights from Federal Loan Programs. • RE (a): RECOVER from Private Institutions the FULL TUITION for ANY student who was victimized by failure to enforce their school’s freedom of speech policies, and FINE the schools to prevent ANY recurrence! • RE (b): REQUIRE that ALL Institutions to describe higher-education “OPPORTUNITY COSTS” by comparing typical earnings (NET of further education costs) in their 10 Post-High School years with Apprenticeships vs. College. • RE (c): DISQUALIFY any Institution from Federal Student Loans and Federal Research Funding, unless they carry INSURANCE against Student Loan Default for the final 50% of each Student’s Loan Obligations. Increase this coverage by 10% per year to reach 100% in 2024. • RE (d): CLAW BACK from every Institution ALL increases in Annual Education Costs covered by Student Loans that have exceeded the Consumer Price Index. • RE (d): DISQUALIFY ALL Financial Institutions from participating in ANY Federal Loan Programs, unless they reduce the Interest Rate for existing and future Student Loans to a ceiling of 2% above the Federal Funds Rate (recognizing that Schools will be insuring against default in the future). President Trump is once again taking aim at one of the most nefarious, insidious assaults on our Constitution, but the fact this is necessary is just unbelievable. one way to wake them up is to stop giving them my money. see how long they clean up their war on free speech. nobody cries worst than a bleeding heart liberal when you stop the flow of money.